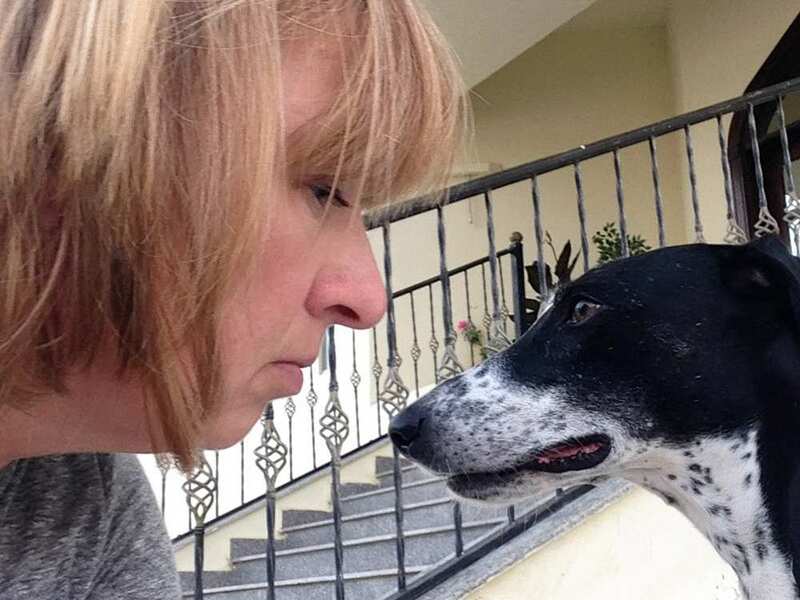 A Canadian woman who rescued an injured dog in Doha and ended up in a fairy tale with Qatari royals. The good heart of Brenda Biekx wouldn’t allow her to continue her way when an injured dog stopped heavy traffic in the Qatari capital, Doha. Her kind will and intentions lead her all the way to an unexpected visit to a palace with Qatari royals. After finishing working as a teacher in a private school in Doha one October night, Biekx was driving home when she had to suddenly stop the car to avoid hitting a dog one the road. She had noticed that the dog was struggling to cross the road and had an injured leg. While other motorists just continued on their way, Biekx followed the injured canine for more than a mile, into a desert-like construction zone. She finally caught up with the saluki-dalmatian mix when it collapsed on a hillside. Biekx called her friend Christine, as well as an animal rescue operation, and made sure that the two-year-old puppy made it to the hospital wrapped in a blanket. They decided to name it Luna, since a full moon gazed down over the Doha night sky. At the animal hospital, Biekx agreed pay for the surgery to fix an injured paw and the front leg that had snapped in half, which cost more than QAR 10,000. Soon after, she launched a GoFundMe campaign and raised about QAR 14,000, most of which came from Canada, Biekx’s home country. Here is where her story takes an interesting plot twist. The GoFundMe campaign caught the attention of more than just people who wanted to help out, it caught the attention of Luna’s owners. As it turned out, Luna was actually named Leslie, and was owned by Mariam Al Thani, a young Qatari royal. Both Biekx and Cornejo were invited to the 25-year-old’s home to discuss transferring the dog. Over tea and French macaroons, the Qatari royals explained that the young Sheikha had missed Leslie terrible, and offered to compensate what Biekx had paid in medical bills. The day after, a refrigerated truck had a chocolate cake with edible gold leaf delivered to her apartment, it said “thank you” on it. Biekx said it was the best cake she ever had in her life, and that she ate of it for breakfast, lunch and dinner. While the Leslie the dog continues to live in Biekx’s two-bedroom apartment, given that she has pins in her leg and needs more time to recover, she and Cornejo plan to donate all the GoFundMe money to the Second Chance Rescue in Doha. Leslie will be up and running in no time, and will soon be moving back to live with her owner.